When the Rolling Stones hit the scene in the 60's, it was to play rhythm & blues, nothing more. They were far from imagining that they would change music, let alone become the mouthpiece of a changing world. Sticking their tongue out at the establishment with their brilliant music and hard-hitting lyrics, they achieved planet-wide success. With Mick Jagger and Keith Richards in the lead, these rebels have become, over 50 years, not just a band, but a whole attitude! 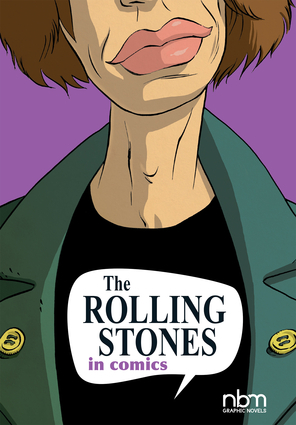 Through 21 stories in comics accompanied by biographical texts and a rich iconography, this book helps fans relive, in a totally new way, the incredible epic of one of the biggest rock bands ever. Formerly a copywriter in advertising, Ceka has scripted more than 30 graphic novels.